The Back 2 Basics v4 Mech MOD is the reiteration of Purge Mods' acclaimed and beloved B2B V3, the affordable all-purpose mechanical vaping platform designed to push your cloudage, not your wallet. Borrowing many facets from the previous version, the B2B V4 has a solid naval brass chassis broken only by the 510 threading, firing switch, and an impressively etched signature Purge skull logo. 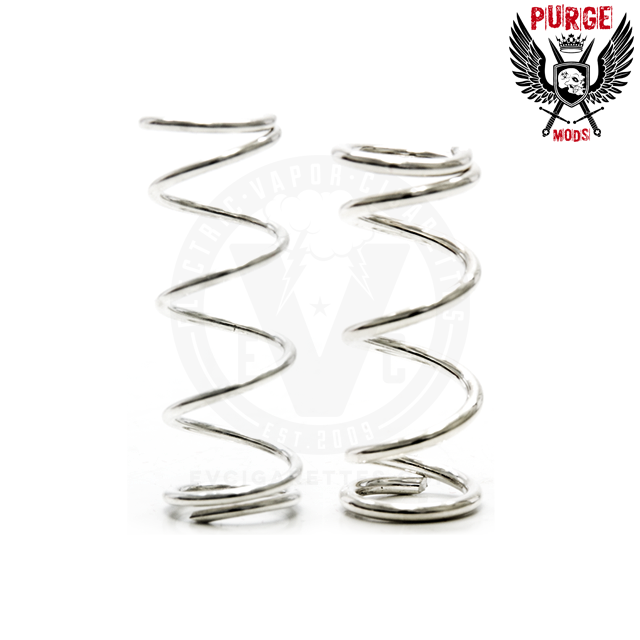 The proprietary magnetic Purge firing switch is the same high performance enabler that comes in every Purge mech mod, endowing this mech the incredible performance Purge Mods is known for. The Back 2 Basics v4 can accept 20700 and 21700 battery cells as well as 18650s by using the included delrin battery adapter. **The Back to Basics v4's 18650 adapter sleeve MUST be placed over the positive side of your battery. The copper contact on the sleeve must between the battery positive and the atomizer's positive pin. Do NOT place the sleeve on the negative side of your battery or you run the risk of the mod auto-firing. Best B2B from the B2B series!! Now that V4 B2B accepts 21700 it's the best B2B version imo. This is a very sleek and clean looking 21700 straight tube mod. 28.5mm on the top. So if have 28.5mm attys they will sit flush on the B2B V4. Has a very nice weight to it and the threads are super clean. The new logo adds a very nice touch to it. I really love this new V4. Cant wait to see what other colors Purge will add to the V4!! The price point is very good for this very good quality mech. It's a must have to add your Purge collection. If it's your first Purge mod then you won't regret it. Very nice hard hitting mech!! It's the best B2B mod released yet. holds a 28.5 mm RDA 21700 battery for maximum Firepower, stackable with the 2700 assassin's what's not to like. it hits as hard as a slam and cost a fraction of the price. It has a great feel it's a nice heavy solid Purge mod.